At the center of one of the greatest stages in European soccer was a lanky 18 year old Dutchmen who made a strong mark in front of thousands of soccer fans – his name was Patrick Kluivert. Since then, nobody has announced themselves so spectacularly to soccer lovers across the world and not many have gone on to have the career he would enjoy. Kluivert’s strongest asset as a player was the fact that he was mentally very strong – thus he was able to make such an impression in front of so many people at the mere age of 18. Nothing fazed him and his steely determination made many opponents fear him on the soccer field. In fact if anything, tight and stressful situations on the field made him deliver even more, he thrived in them. Currently he is the director of soccer for Paris Saint Germain in France and his son Justin plays for Ajax. Patrick Stephan Kluivert was born in 1976 in Amsterdam, Netherlands to a soccer player Kenneth Kluivert. His father played for the SV Robinhood and for the Suriname national team. His father introduced Kluivert to soccer and since then there was no looking back for the Dutch legend in the making. Kluivert grew up playing soccer on the streets and after a year of playing at a soccer club he joined the Ajax Youth Academy at the age of seven. During his early years he played several different positions including that as a defender. His technique, speed and intelligence set him apart from other soccer players during that time. 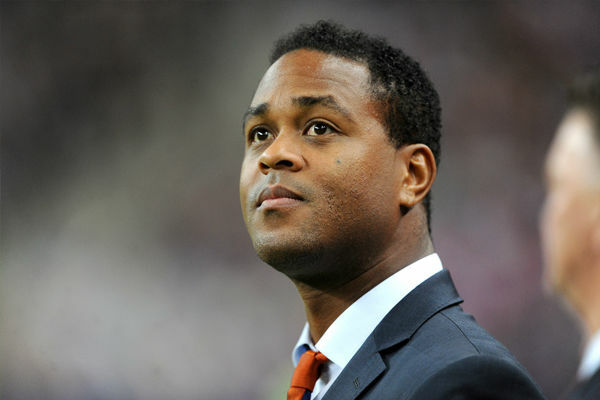 Kluivert played for the Dutch national teams including the Under-15, Under-16 and Under-17. Throughout his career Kluivert played as a striker for Ajax, Milan, FC Barcelona, Newcastle United, Valencia, PSV and Lille. By the time he was 18, Kluivert was already pat of Ajax’s Golden Generation, he scored the winning goal in the 1995 UEFA Champions League Final. Tragedy followed Kluivert’s personal life as he was involved in a car crash which killed the driver of the car which Kluivert’s BMW crashed into. It would take him a while before he moved back to loving soccer. After that Kluivert went into a state of depression. While playing for Barcelona, where he stayed for six years, he formed a fruitful alliance with Rivaldo. Together the partnership bore the La Liga Championship in 1999. Kluivert scored 124 goals from 249 appearances. Kluivert also enjoyed a successful run for his national Dutch side from 1994-2004. He amassed 40 goals in 79 appearances. He is the third highest goal scorer for Ons Oranje. He played in three European Championships and the 1998 FIFA World Cup and was top scorer at the Euro 2000. In 2004 Patrick Kluivert was named in the FIFA 100 list of 125 Greatest Living Soccer players. He was Netherlands All Time Top Scorer in 2003 and 2013. In 1995 he won the Dutch Football Talent of the Year. He also won the Bravo Award and UEFA Euro 2000 Golden Boot.